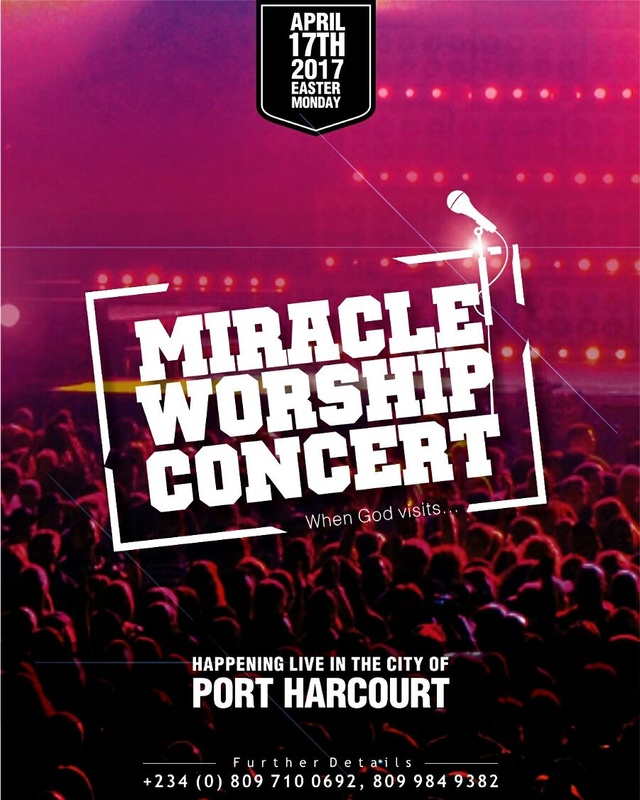 The second edition of the Miracle Worship Concert with Gospel music minister Laureche is set to hold in Port Harcourt this coming Easter Monday. The maiden edition held last year at Oasis Centre and recorded 1000 live participant present at the venue while about 7000 others joined through live streaming. This year’s edition promises a wider audience and reach and greater testimonies of miracles stemming from intentional worship to God. Testimonies followed the previous edition from different quarters especially as a specific call was made during concert for those with one health challenge or the other. Laureche also unveiled her second album, a collection of the beautiful worship songs that were done at the concert. The wait is over! The video for the single “Wonderful Jehovah” by worship leader extraordinare Laureche is out! “Wonderful Jehovah” follows her Easter Monday concert which also saw the release of “Miracles Flow” compilation CD. The song speaks of God’s greatness and the heart which seeks expression of gratitude to the wonderful Jehovah, the mighty God. Other releases by Laureche include “I Win”, “You Reign”, “Izurukeme”; all from “More Than Enough” album which was released in 2014. She has shared the stage with other Gospel greats including Sinach, Eben, Buchi, Frank Edwards, Joe Praise, Chris Shalom, Samsong, amongst others. 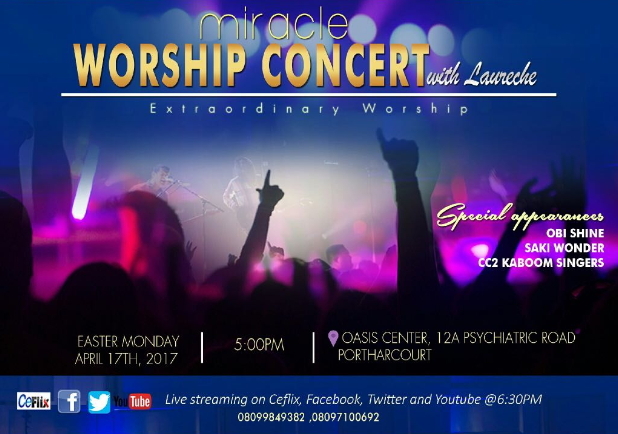 “I Win” singer Laureche presents the “Miracle Worship Concert” holding on Easter Monday, March 28th at the Oasis Center, 12A, Psychiatric Road, Port Harcourt by 5pm. Tagged “When God Visits”, It’s going to be a different experience in worship as Laureche and her band lead the audience to the presence of the Lord and usher in the miraculous, just as the saying goes ‘when praises go up, blessings come down’. Laureche will also be unveiling her new worship CD titled “Worship Flow” on the day of the concert. Most of the ministrations will be taken from the songs on the CD. Beautiful visual expression for the song that depicts the supremacy of the Most High, Event Manager and Gospel singer Laureche curtailed no holds barred as she employs the expertise of Ajayi Scenelock Films for the video of the song “You Reign”. “You Reign” is off Laureche’s debut album “More than Enough” and it is the 2nd official release off the album. Earlier this year, she released the video for the hit single “Izurukeme” off the same album. The scenery captured in “You Reign” – the video – expresses the Almightiness of the God who reigns supreme. Uche Laura Etiaba, (popularly known as Laureche) spent her early years in Port Harcourt. A graduate of Nnamdi Azikiwe University Awka, Anambra State who majored in Metallurgical and Materials Engineering, she worked in an Oil servicing company for 6years as a Sales Engineer before she started her Events Management and Planning outfit Laureche Events. She is the brain behind Excuse Me Laugh, an annual Easter comedy show. This show, which holds every Easter Monday, hosted Port Harcourt for the 7th edition in April last year. A member of a defunct all-girl group Colors, she became the Music Director in her 3rd year and was ordained the Fellowship Pastor by her 4th year while she was in school. She has shared the stage with other Gospel greats including Sinach, Eben, Buchi, Frank Edwards, Joe Praise, Chris Shalom and Samsong. She released her debut album “More than Enough” on the 1st of December 2014. Laureche is elated about the release of the video for the song “You Reign” as she believes it is yet another avenue to accomplish her vision of touching lives with the message of the Gospel through her gifts.